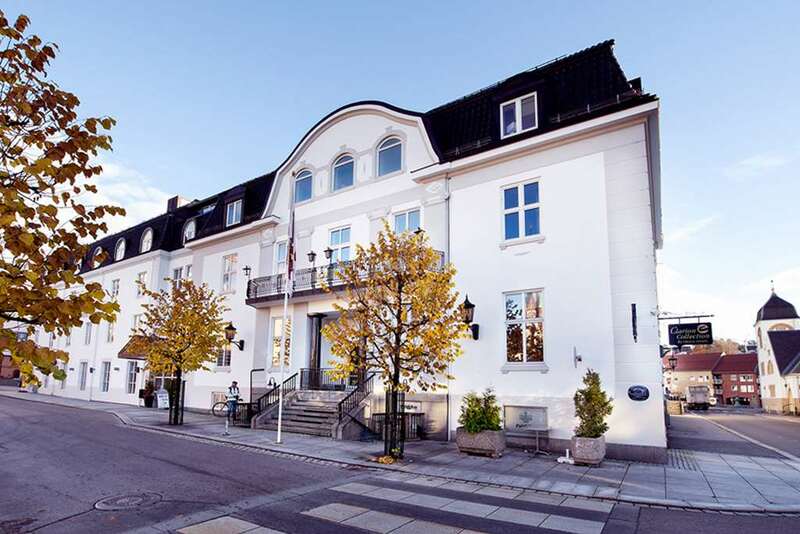 Get together at the pet-friendly Clarion Collection Hotel Atlantic in Sandefjord, Norway near the Whaling Monument, a majestic sculpture that shows whalers in action. Nearby attractions include the Sandefjord-Torp Airport, the Town Museum and the Sandefjord Museum. Amenities include free organic breakfast, light evening buffet, free WiFi, free weekday newspaper, free coffee, 24-hour coffee, tea and fruit, sauna and meeting rooms. Book now. Children 12 and under stay free if sharing room with parents or grandparents when no additional bedding is required. Complimentary dinner included in rate. Please note that all Choice hotels in Scandinavia are 100% non-smoking properties. Pet charge: 200 kr per stay.